Marc Marquez says Andrea Dovizioso was the faster rider, as post-race protest mars thrilling season-opening Qatar MotoGP. Marc Marquez may have lost out to Andrea Dovizioso by just 0.023s in Sunday's Qatar MotoGP, but the Repsol Honda rider didn't want to dwell on the possibility of being handed victory by a post-race protest. "I just tried to do my 100 percent on the track. Today there was one rider faster than me and it was Dovizioso. So he beat me." The protest over the wing was made against the GP19 machines of Dovizioso, team-mate Danilo Petrucci (sixth) and Pramac's Jack Miller (DNF) by the factory Aprilia, KTM, Honda and Suzuki teams. 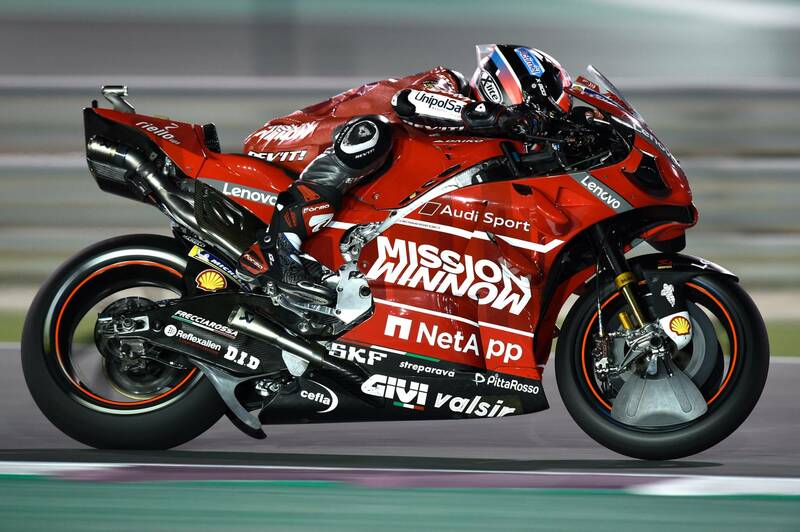 Dovizioso hadn't had time to try the new aerodynamic parts until Sunday in Qatar and, straight after the race, said he couldn't feel any difference when using the rear wing and a further aero tweak on the front wheel. It had been thought that the swingarm device directed air onto the rear tyre to help prevent overheating of the rubber, but this was denied on Saturday by Petrucci, who nonetheless said he couldn't reveal the real purpose. "I can’t tell you because Gigi gets angry," Petrucci said. "We saw on television that they said it was to cool down the rear tyre, but in fact that is not the real reason. "There is also another [aero] part on the front. I asked what is its purpose, but unfortunately I cannot tell you as it is my contract. "There are some small changes riding the bike but not as big as we expected." Meanwhile, Marquez also didn't want to blame his healing shoulder for the final-turn defeat. "No [it didn't limit me]," he said. "For the physical condition, the race was easy because the pace was very slow in the beginning. For me it was much better, also for the tyres. "With the shoulder, you feel like the muscles are working in a different way, but for riding style, it's okay." Another piece of Ducati tech, the holeshot device, was also used on Sunday. "Yes… It was good, but maybe for Jack even better," said Dovizioso, as the pair rocketed to first and second at turn one.